A designated PMLA authority has said 41 properties worth about Rs 1,210 crore, which were attached by the Enforcement Directorate (ED) in the name of absconding diamond jeweller Mehul Choksi and his associated firms, are money laundering assets and ordered that their attachment should continue. These properties include 15 flats and 17 office premises in Mumbai, a mall in Kolkata, a four-acre farm house in Alibaug and 231 acres of land in Nashik, Nagpur and Panvel in Maharashtra and Villupuram in Tamil Nadu. The attached assets also included a 170-acre park in Hyderabad’s Ranga Reddy district valued at over Rs 500 crore. ED had attached these properties in February this year under the Prevention of Money Laundering Act (PMLA) in connection with the multi-crore Punjab National Bank (PNB) fraud case involving a Mumbai-based branch. In a recent order, Member (Law) of the Adjudicating Authority of the PMLA, Tushar V Shah, said: “Considering the material in the original complaint (by the ED).. I find that immovable properties provisionally attached are all involved in money laundering. The PMLA Authority is a quasi-judicial body that adjudicates over attachment of assets made by the ED. Quoting official sources, a PTI report said the ED would now move to seize these properties and put up its possession signages at these locations. The central-probe agency had issued a provisional order for attachment of these assets as part of its criminal probe against Choksi, his company Gitanjali Gems Limited and associated firms and their associates, under the Prevention of Money Laundering Act (PMLA). 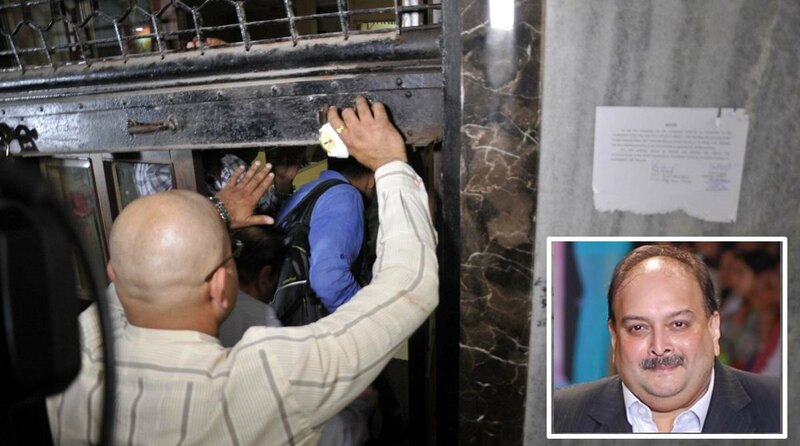 “The total value of the 41 seized assets controlled by Choksi is estimated over Rs 1,210 crore,” the ED had said. Choksi, along with designer diamond jewellery businessman Nirav Modi and others, is being investigated by the ED and other probe agencies following a complaint by the PNB that said the accused allegedly cheated the nationalised bank to the tune of Rs 12,000 crore, with purported involvement of a few employees of the bank. The CBI and the ED have registered two FIRs each to probe the case. Both Choksi and Modi had left India before the criminal cases were registered. They have, however, denied any wrongdoing. Choksi has since taken citizenship of the Caribbean nation of Antigua, and India has sought his extradition from that country.